Jean Guichard composed the original Montana perfume in 1986. 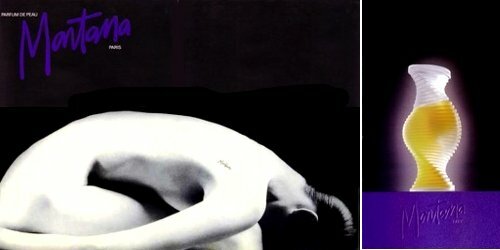 It’s not clear when the name change took place, but by 1991 it was being referred to in the press as Parfum de Peau. 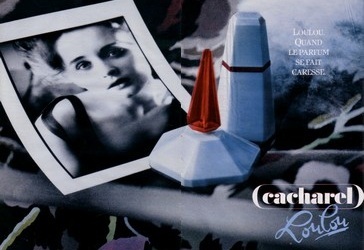 It was apparently reformulated later in the 1990s by Edouard Fléchier, and has no doubt been tweaked since. Its notes include peach, cassis, plum, pepper, cardamom, ginger, rose, tuberose, jasmine, ylang ylang, carnation, sandalwood, patchouli, vetiver, civet, castoreum, amber, musk and frankincense. Jean Guichard of the Givaudan Perfumery School briefly explains the basic fragrance families. The story goes that in 1957 the clothing designer Hubert de Givenchy commissioned perfumer Francis Fabron to create a fragrance especially for his favorite client, Audrey Hepburn. Fabron had already earned his perfumer's chops as the nose behind Nina Ricci L'Air du Temps and the original Robert Piguet Baghari. Reportedly, Hepburn was so taken with the scent that when Givenchy mentioned marketing it she said, “But I forbid you!” So the fragrance earned its name — L'Interdit means “forbidden” in French.